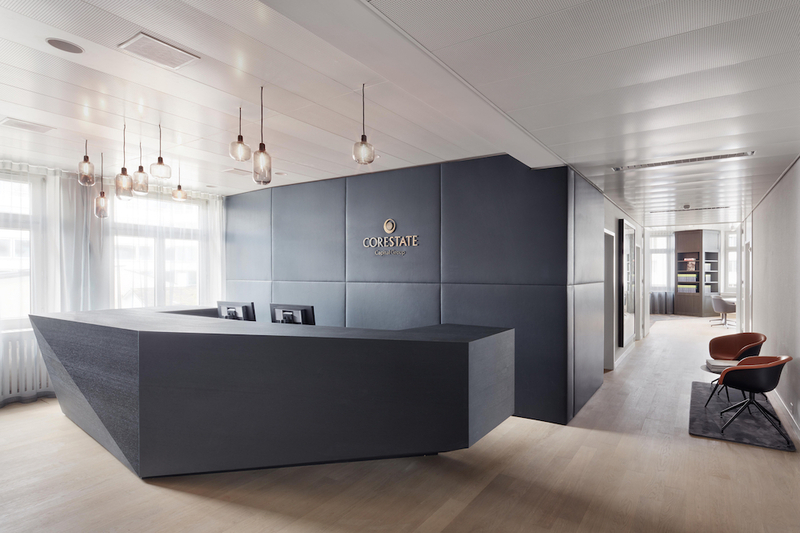 In the prominent Bahnhofstraße in Zurich we created a new office design for an investment company. 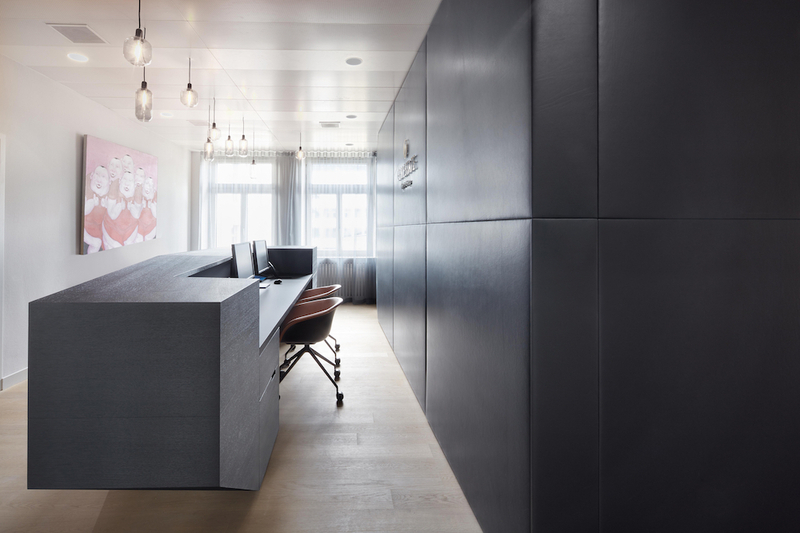 The aim was to create a new strong recognizable identity in the partially renovated spaces. Using repetitive materials and surfaces for the walls and the floor area, functional areas where defined and differentiated. 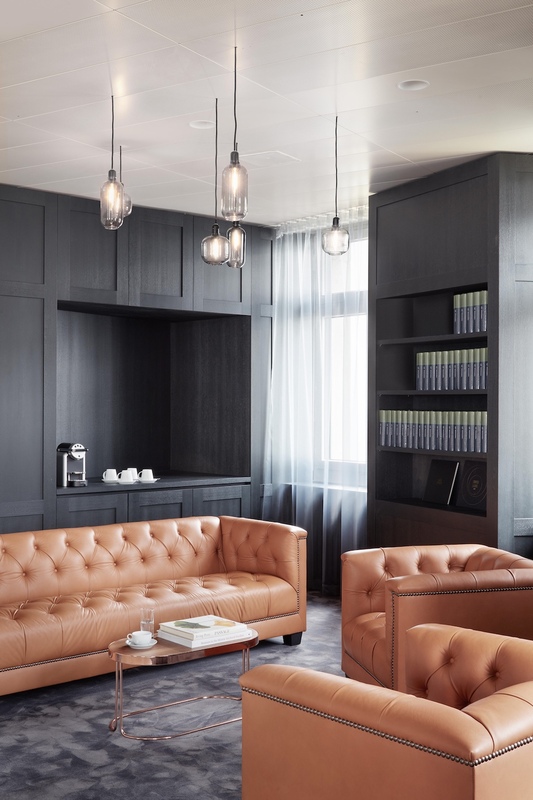 The idea of a living room office character paired with leather, brass, wood and smoked glass lamps with a darker color range contrast with the otherwise lighter finishes. 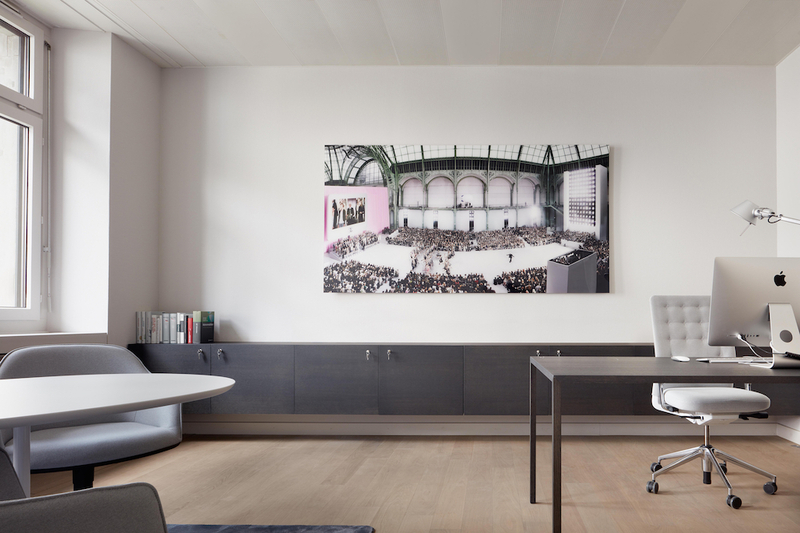 The mentioned materials are used as walls, on furniture and as carpets emphasizing separate functions within the spaces. 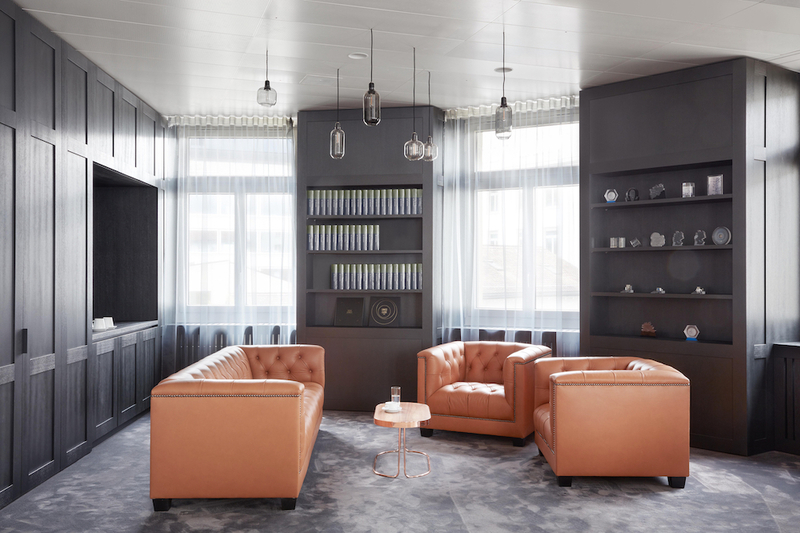 The rather opulent and heavy material mix is livened up by the simply forms and the related monochrome color scheme that gives the design a timeless character.